AST Suspension 5100 Series shock absorbers utilize inverted/upside down technology. The inverted design is race proven technology and produces an extremely strong damper, providing better suspension geometry under heavy lateral and braking loads as seen on both road and track environment. These 5100 Series shock absorbers give the car better performance than a standard twin tube design. The 5100 Series suspension rebound adjustment can be adjusted with one knob and the adjustment platform allows adjustment to the ride height of the car. 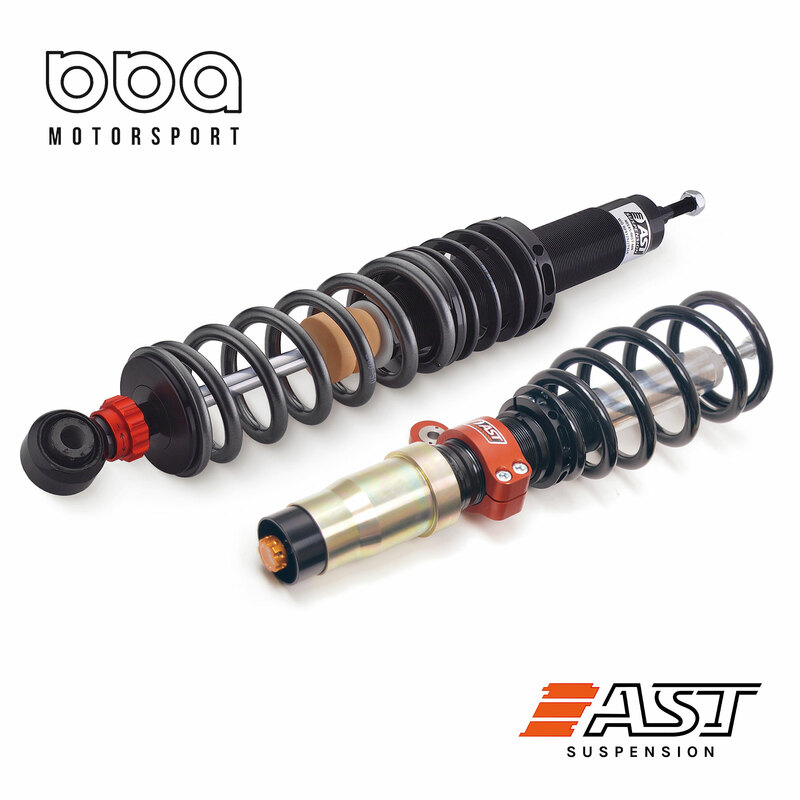 AST suspension shock bodies are specially designed to keep maximum stroke, even with a lower ride height.